Advanced Placement (AP) courses will help students develop the content mastery and critical thinking skills expected of college students, and feel confident in their abilities. Successful completion of national AP tests can lead to earning college credit and help a student stand out in the college admission process. AP courses require above-average Smarter Balanced Test scores, teacher recommendation, and at least a 3.0 GPA. AP classes require additional time commitments for coursework both in class and outside of school in the form of summer readings, independent research, homework assignments, and study time. 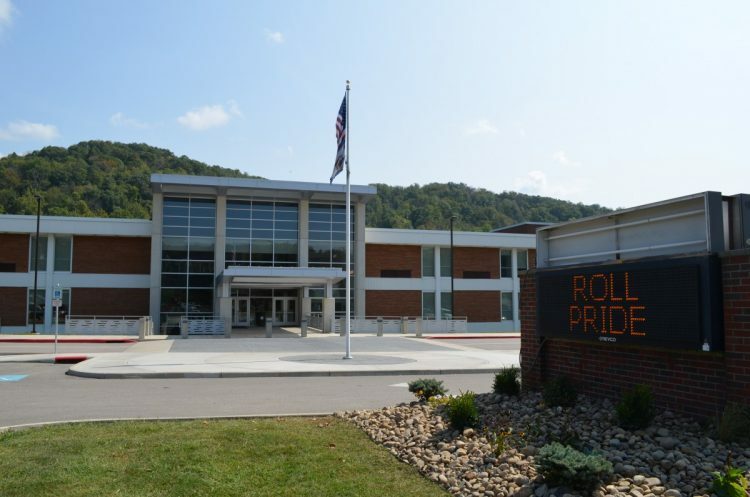 John Marshall High School offers honor courses to academically advanced students. These courses offer in-depth scholarly exploration into the subject area. Specific pre-requisites are required for each course and can be referenced in the course catalogue. Honors classes will carry an additional workload in the area of after school homework, reading assignments, study time and summer reading. Honors classes carry an additional .5 value. PLTW empowers students to develop and apply in-demand, transportable skills by exploring real-world challenges. Through our pathways in computer science, engineering, and biomedical science, students not only learn technical skills, but also learn to solve problems, think critically and creatively, communicate, and collaborate. PLTW programs empower students to develop in-demand skills to pursue rewarding careers, solve important challenges, and contribute to global progress. These courses must begin with each program’s intro course as a pre-requisite. Specific courses in this pathway are recognized as high school lab science credits. Students are required to enrich their literary backgrounds through assigned summer reading and supplemental reading throughout the school year. The major intent of this course is to guide students to take the Advanced Placement Exam in literature and composition in May of their junior year, providing them with the opportunity to earn up to six hours of college credit or honors recognition at the college level. Extensive out-of-class reading and preparation is required. Students should expect to spend 1 to 2 hours of time per night in preparation for this class. The AP English Language and Composition course aligns to an introductory college-level rhetoric and writing curriculum, which requires students to develop evidence-based analytic and argumentative essays that proceed through several stages or drafts. Students evaluate, synthesize, and cite research to support their arguments. Students read and analyze the rhetorical elements and their effects in non-fiction written and visual texts from many disciplines and historical periods. Extensive out of class reading and writing is required in this course, including summer assignments. Students in this rigorous course will receive intense training in the skills necessary to survive in Hispanic societies: oral communication and comprehension of print, audio and video texts, all of which require advanced cultural understanding. The increased emphasis on these skills will also help prepare the students for college level language. College credit may be earned by taking the Advanced Placement test and achieving a score acceptable to colleges or universities. Students investigate real-world issues from multiple perspectives, gathering and analyzing information from various sources in order to develop credible and valid evidence-based arguments and presentations. Students practice reading and analyzing articles, research studies, and foundational, literary, and philosophical texts; listening to and viewing speeches, broadcasts, and personal accounts; and experiencing artistic works and performances. Students learn to synthesize information, develop their own perspectives in written essays, and design and deliver oral and visual presentations, both individually and as part of a team. Extensive out of class reading and writing is required in this course. AP Research allows students to deeply explore an academic topic, problem, or issue of individual interest. Students design, plan, and conduct a year-long research based investigation to address a research question. In the AP Research course, students further their skills acquired in the AP Seminar course by understanding research methodology; employing ethical research practices; and accessing, analyzing, and synthesizing information as they address a research question. Students explore their skill development, document their processes, and curate the artifacts of the development of their scholarly work in a portfolio. The course culminates in an academic paper of approximately 4000–5000 words (accompanied by a performance or exhibition of product where applicable) and a presentation with an oral defense. Extensive out of class reading and writing is required in this course. The AP World History course focuses on developing students’ understanding of the world history from approximately 8000 BCE to the present. This college-level course has students investigate the content of world history for significant events, individuals, developments, and processes in six historical periods, and develop and use the same thinking skills and methods (analyzing primary and secondary sources, making historical comparisons, chronological reasoning, and argumentation) employed by historians when they study the past. The study of European history since 1450 introduces students to cultural, economic, political, and social developments that played a fundamental role in shaping the world in which they live. The goals of AP European History are to develop (a) an understanding of some of the principal themes in modern European history, (b) an ability to analyze historical evidence and historical interpretation, and (c) an ability to express historical understanding in writing. This course also develops context for understanding the expansion of contemporary institutions, the role of continuity and change in present-day society and politics, and the evolution of current forms of artistic expression and intellectual discourse. The course will cover U.S. history from the pre-Columbian era to the present. Students will examine American political institutions and behavior, public policy, social and economic change, diplomacy and international relations, and cultural and intellectual developments. The AP course uses a college-level text and requires well-developed reading, writing, and research skills. Students should be highly motivated and are expected to participate in class. The course requires a minimum of 5 hours of homework per week. This advanced course examines constitutional underpinnings of the U.S. government, political beliefs and behaviors, political parties, interest groups and mass media, institutions of national government, public policy, civil rights, and civil liberties. Fundamental economic principles and personal finance issues are included (as required by the state). The AP course is taught with college-level texts and requires well-developed reading, writing, and research skills. Students should be highly motivated and are expected to participate in class. Course requires an average of 2-3 hours of homework per week. In this course, students develop an understanding of fundamental concepts used by political scientists to study the processes and outcomes of politics in China, Iran, Mexico, Nigeria, Russia, and the United Kingdom. Students will learn to compare and contrast the political institutions of those nations as well as analyze and interpret relevant basic data. This is an expansion of what is learned in U.S. Government and Politics AP, although highly motivated juniors are encouraged to take the class as well. Course may require an average of 3 hours of homework per week. Units of this year long course include sensation and perception, personality, cognition, testing and individual differences, abnormal psychology, treatment of psychological disorders, and social psychology. The pace of the course is faster, with more vocabulary and more writing assignments. Students are required to be highly motivated and enthusiastic participants in class. The course requires a minimum of 5 hours of study time per week. How do refrigerators work? How were hydrogen bonds responsible for the sinking of the Titanic? How can a spectrophotometer be used to analyze brass casings from crime scenes? Students take Advanced Placement LAB concurrently with AP Chemistry. Advanced Placement Chemistry Laboratory uses college level texts and lab manuals to prepare students to pass the AP Chemistry exam. Homework and laboratory notebook reports average 3-5 hours of work outside of class time per week. Must be taken concurrently with Advanced Placement Chemistry. Biology AP is a highly intensive course that is designed so students develop a deep conceptual understanding, as well an opportunity to integrate biological knowledge and science practices through inquiry-based activities and laboratory investigations. Students who intend to pursue a medical/science career path OR who want to test out of freshman Biology in college should strongly consider taking this course. Courses that would be helpful to have taken or be taken concurrently, but are not required include: Chem I and Micro. Study time averages 1 hour per night. A summer assignment will be given and is expected to be completed on time. A successful student in this course would demonstrate being very self-disciplined, hard-working, prepared, timely and on-task at all times. Physics 1 is the equivalent to a first-semester college course in algebra-based physics. The course covers Newtonian mechanics (including rotational dynamics and angular momentum); work, energy, and power; and mechanical waves and sound. It will also introduce electric circuits. Physics 2 is the equivalent to a second-semester college course in algebra-based physics. The course covers fluid mechanics, thermodynamics, electricity and magnetism, optics, and atomic and nuclear physics. Differential and integral calculus with application involving polynomial, exponential, logarithmic, and trigonometric functions. Homework is 1to1.5 hours per night. The major intent of this course is to guide students to take the Advanced Placement Exam in May, providing them with the opportunity to earn three hours college credit. This course is an extension of the topics covered in Calculus AB, including arc-length, additional techniques of integration, improper integrals, and indeterminate forms. A thorough treatment is given to "infinite series," including Taylor, Maclaurin, and Power series. Parametric equations, polar coordinates, vector-valued functions, along with advanced topics on exponential growth and decay are also studied. Homework required is 1to1.5 hours per night. The major intent of this course is to guide students to take the Advanced Placement Exam in May, providing them with the opportunity to earn up to six hours college credit. The course introduces students to the major concepts and tools for collecting, analyzing, and drawing conclusions from data. There are four themes in the AP Statistics course: exploring data, sampling and experimentation, anticipating patterns, and statistical inference. Students use technology, investigations, problem solving, and writing as they build conceptual understanding.